NoWFOOD is located on the main campus at the University of Chester. Based at the University of Chester, NoWFOOD offers a comprehensive package of support helping to nurture young food businesses as well as provide research and support for established food and drink manufacturers. The team can help with exploring new markets, developing new product ideas, solving production problems, accessing training and using our excellent sensory suite to gain first-hand customer feedback and market insight. The modern industrial kitchen facilities provide a range of professional kitchen equipment including double jacket boiling pans, gas hobs, combination ovens, dough mixers, automatic filling and sealing machines, blast chiller/freezer. The kitchen is ideal for SME’s to hire out who are looking to scale-up production or develop new ideas but are not yet at the stage of making an investment in their own facilities. Companies can also take advantage of advice and support provided by our experienced onsite Development Chef and Food Technologists. Many producers start their business working from home kitchens which can make expansion difficult. To overcome this, NoWFOOD has fully equipped individual kitchen units for producers to lease as commercial tenants in order to develop their business on-site utilising the facilities and technical support on offer to upscale production. The Centre also has hot desks, meeting rooms and video conferencing which are all available to NoWFOOD tenant businesses. NoWFOOD Laboratories are able to conduct a wide range of routine testing including food chemical analysis, nutritional analysis, rheology, microbiology and shelf-life testing. Tests can provide an understanding of the physical and chemical properties of food and drink products and are an important part of regulatory compliance, quality assurance and product development. We can also support bespoke testing or other analytical projects for small, medium or larger companies. Our sensory suite offers an opportunity to obtain feedback on the look and taste of food and drink products and it can provide comparisons with other similar products in the marketplace. The process can be tailor-made, from the analysis of simple consumer questionnaires to utilising an expert panel of taste-testers to provide descriptions of the taste, flavour and texture of products. This bespoke testing provides data and analysis that can help with marketing and ultimately determine the potential success of a product in the market. 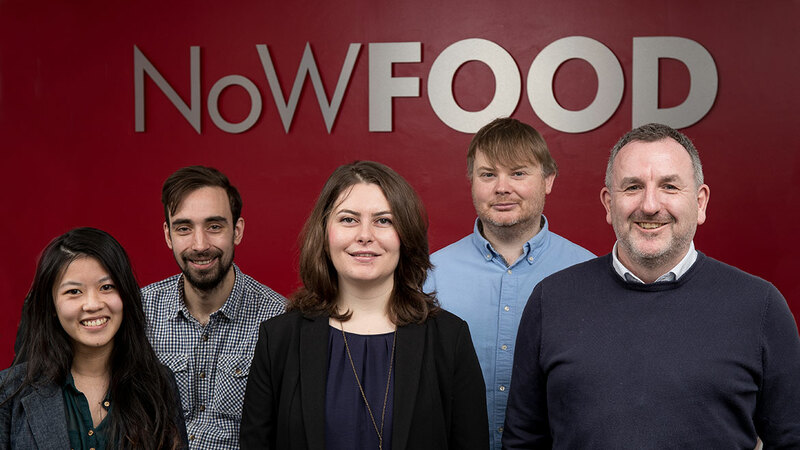 If you are looking for professional food industry facilities and business support contact the NoWFOOD team.